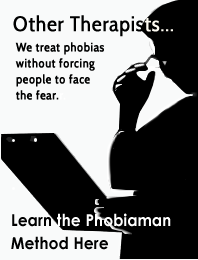 Phobic disorder is the name used by the medical and psychiatric professions to highlight the difference between ordinary fear vs phobia symptoms. Your fear must be unreasonable and irrational to be diagnosed as a phobic disorder. It is the most common of all the anxiety disorders, manifesting itself as an out of proportion, conditioned response of persistent fear. It nearly always results in avoidance behaviour. Whilst this kind of fear disorder is different to panic disorder, people with phobias can also experience panic attacks. Panic attacks and panic symptoms are common with fear of heights phobias, and any phobias involving a fear of being trapped or enclosed, like claustrophobia or agoraphobia. The severity of these physical reactions can impair judgement in extreme cases, leading to an increased risk of harm particularly in the case of heights. Phobic disorders are classified as either general or specific. The general disorders are agoraphobia and social phobia (also known as social anxiety disorder). All the others are classified as specific phobias, and are triggered by one particular feared stimulus. In these cases the fear has been associated with one specific object or situation. 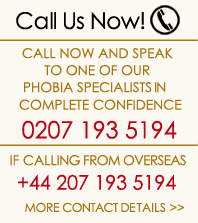 Common types of specific phobias include fear of elevators, heights, flying, speaking and injections. They are often related to animals too, most commonly snakes, spiders and dogs. Specific phobias are the most common, and are sometimes called simple phobias. Whenever you experience something happening in your world, it isn’t the actual event that you experience. What you experience is a ‘representation’ that your brain creates. This representation is based on the information coming in through your senses. In order to create this representation your brain takes all the available information and runs it through three different types of process. The processes your brain uses are generalisation, deletion and distortion. Your brain then creates the representation that you do experience, as a sequence of steps, presenting the information in a way you can make sense of it. In fact, this is how you make sense of anything. Here are some examples you’re probably familiar with. Generalisation – You can only recognise a chair you’ve never seen before, as a chair, because your brain has “generalised” that something with 4 legs or a base, a horizontal surface at a certain height, and a vertical surface behind it is a chair. Deletion – You can hear your name being mentioned even if their are hundreds of conversations going on around you, by your brain “deleting” the information contained in all that other noise. Distortion – You make a piece of music meaningful and significant by “distorting” it from a series of sounds and connecting them together into a seamless stream of melodic beauty, combined with feelings and images. Your brain doesn’t always know the best way to use these processes to form a representation when it first encounters something. It forms the best representation it can and then relies on making further modifications by testing it against your experience in the real world. If it’s working for you, it leaves it alone. But if it notices that some of the generalisations aren’t actually all the same, or that it’s deleting some things that are important, or it’s distorting something in a way that’s not useful, it makes an adjustment. With more experiences your brain learns more ways to generalise, delete and distort, and the representations become more and more useful. The more ways your brain has to use these processes the more flexibility it has, and the richer your experience of life. In order to do this it has to be able to test the representation in real situations. Normally this isn’t a problem. But when the representation contains an excessive element of fear, your brain won’t take the risk of getting the experience you need from the real world to change these processes. As far as your brain is concerned there is no difference between fear and phobia. It cannot tell the difference between an irrational fear and a fear of something that really is dangerous. Fear is fear and it doesn’t like gambling with your life to find out whether it’s real or not. This is how anxiety disorders and phobias are formed and maintained. But if something happens by chance that does allow you to test the representation, and your brain realises that the thing you are frightened of isn’t actually dangerous, it stops the fear. This is what makes the “Face The Fear” exposure therapy treatments like cognitive behaviour therapy work. The trouble is the nature of these methods means the majority of people with phobias don’t want to use them. Hopefully, you’re starting to understand how natural this all is. It’s a fundamental neurological process, with a structure that your brain is deliberately using; and it’s working perfectly. You can see why we have a problem with the word “disorder” being used to describe phobias. It carries the implication that something is broken and there’s nothing broken at all. But let’s take a closer look at the word “disorder”. Taken literally, it implies that something is simply happening in the wrong order; and this is far closer to the truth than the people who gave it the name probably intended. Here’s what I mean. Psychoanalysis and counselling therapies focus on the “root cause”, and trying to change the 3 processes directly. But your brain doesn’t like them being messed with directly, and it keeps them unconscious for a reason. 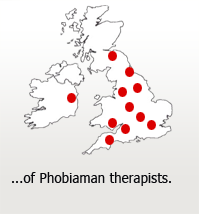 That’s why these treatments have such low success rates when it comes to phobias. However, these processes are just one side of the equation. The other side is the sequence of steps that your brain outputs to make up the representation you do experience. And like any equation, when you change one side, the other side has to change too. And here’s the best part: It’s how your brain is designed to work.